Visiting a theme park sounds fun, but exactly how dangerous is it? Shocking stories about tragic accidents hit the media as often as a couple of times a month. In some cases the victims themselves are to blame for the accident, but just as often bad maintenance or poor judgment of the ride operators are at fault. We've selected ten of the most horrifying theme park accidents. 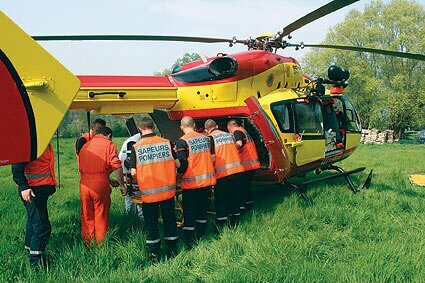 In April 2007 a massive amount of twenty-four people were injured when a ride in Bal Parc in northern France malfunctioned. The ride, called The Parachute, is a wheel that lifts passengers in carriages into the air, then spins them around before lowering them slowly back down to the ground again. At the time of the incident, several carriages were already lifted about 35 feet into the air, when they suddenly dropped to the ground. Luckily the carriages hadn't started spinning yet, or the outcome could have been much worse. 9. Who's afraid of monsters? That you're not only at risk in a rollercoaster proves this incident at Universal Studios in Florida. 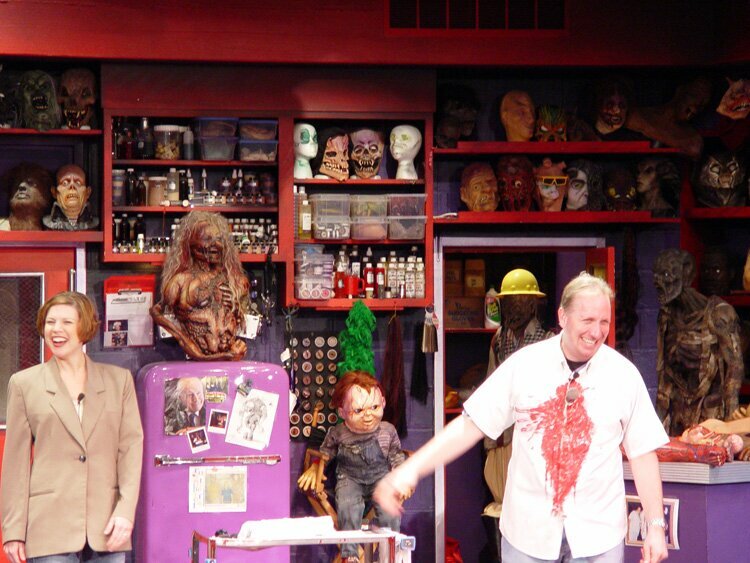 A woman was pulled from the audience to participate in the Universal Horror Make Up Show. Near the end, when there was a photo taken with Edgar the Monster, she was so scared of the monster that she dove off the stage in fear. Unfortunately for the woman, she landed head first on the steps of the theater and lost consciousness. While her husband was in shock, the woman was rushed to the hospital. She was released from hospital later on and suffered no serious injuries. 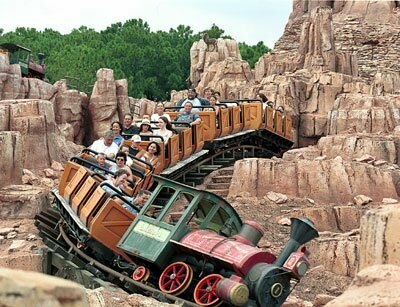 The years 2003 and 2004 were certainly not the most favorable for the Big Thunder Mountain Railroad in Disneyland, as several incidents occurred rapidly after another. One of the most shocking accidents was in September 2003, when one man was killed and ten others got injured. The man, 22-year old Marcelo Torres, suffered from severe blunt force trauma and extensive internal bleeding after a passenger car collided with the underside of a locomotive. The derailment was in part the result of a mechanical failure, improper maintenance and poor training of Disney cast members. Even though the Disney management and employees knew about mechanical issues, such as the lack of a safety wire, they still kept the ride open. In 2004 several alterations were made to the locomotives to decrease the chance of another mechanical failure. In May 2004, a man fell to his death from a rollercoaster in Six Flags New England. The man, 55 year-old Stanley Mordarsky, had cerebral palsy, used a motorized scooter and was 5-foot-2 and weighed 230 pounds. Because of his size he could not be restrained safely, which proved to be fatal. Mordansky's arm was severed while he was trying to hang on to the ride. Several passengers were trying to help him. The rollercoaster 'Superman, Ride of Steel' was reopened Memorial Day 2004 with a redesigned restraint system and tighter procedures for making sure every passenger is properly restrained. If there's one thrill ride that seems to have a curse on it, it'd be Rye Playland's Mind Scrambler, a spider-arm-shaped attraction that spins passengers around in two-seat cars. In 2004, seven-year-old Stephanie Dieudonné died after being thrown from the thrill ride. Three years later, 21-year-old worker Grabriela Garin died in a nearly exact fashion. Garin was busy loading new riders onto the ride, when impatient riders started shouting 'come on, start the ride.' The ride’s operator, his view blocked by a high back on the ride’s seat, started the Mind Scrambler while Garin was kneeling. Improved safety precautions, put in place after the fatal accident of the little girl in 2004, had not been followed.